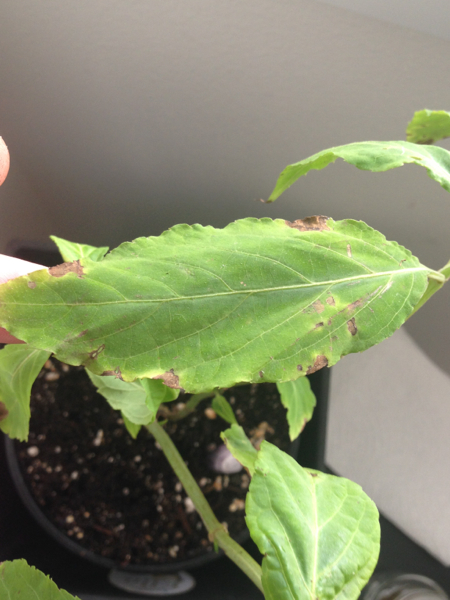 I joined this forum hoping that I could get some help with my Salvia plant. I’ve had her for a little over a month now, but she’s been developing lots of brown/discolored spots on the tips and around the leaf edges. A few of the older leaves (those with the cutting when it arrived) have fallen off. 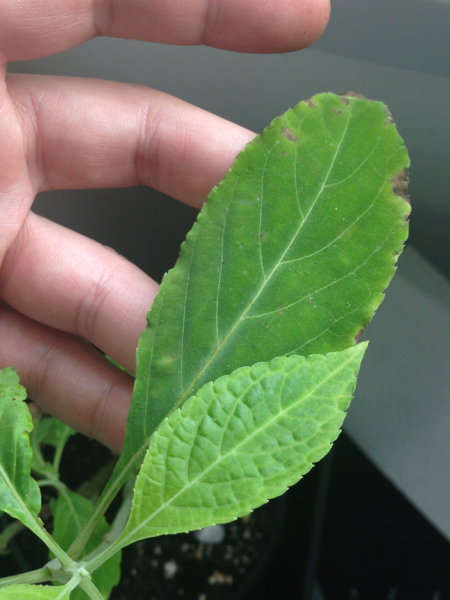 She is growing and sprouting new leaves, but nonetheless the number of brown spots is concerning. - Kept indoors below a north-east facing window (gets little to no direct light, but plenty of ambient light). - Watering whenever the soil looks/feels dry.